World Cup winner and Bayern Munich player Mats Hummels has become the second footballer to join Common Goal, pledging 1% of his wage to high-impact football charities. The news comes less than two weeks after Manchester United’s Juan Mata made the 1% pledge for himself and challenged his peers to do likewise. “As soon as I heard of Common Goal I knew this was a chance for football to improve our world, and I wanted to be part of it,” Hummels explained. “I feel we could be doing more to connect the increasing revenues in football to some kind of deeper purpose. Mata called Hummels ‘the perfect teammate’ and said he expects the German’s inclusion to build further momentum for the movement, which has already made global headlines. “I don’t actually know Mats personally, so I was pleasantly surprised when he contacted me to talk Common Goal,” Mata recalled. “He really gets what we’re trying to achieve and is the perfect teammate to have on-board at this early stage. The fact that a World Cup holder—at the peak of his career with one of the biggest clubs on the planet—has chosen to make the pledge shows the power and magic of what we’re doing. 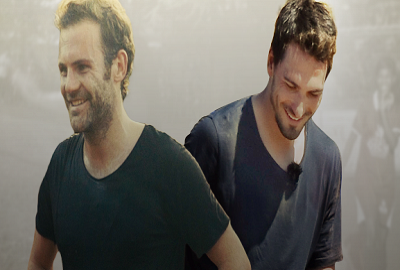 Hummels and Mata’s Common Goal donations will be pooled into a collective fund steered by Berlin-based NGO streetfootballworld. “What we have here is two star players from different leagues and different countries joining forces in the name of social change,” said streetfootballworld CEO Jürgen Griesbeck. “It’s an unlikely alliance that highlights the appeal and potential of what we’re doing.” Like Mata, Hummels has challenged his peers to make the pledge for themselves. “I believe that Common Goal can make a real and lasting impact,” he explained.